“Entering the season, this year is completely different for us with not having a home track and being able to run with the best every weekend we go out as per the invitationals,” he told SHORT TRACK MUSINGS. With a goal focused on running up front and keeping the car in one piece, Gibbons will begin this season on April 27 at Sunset Speedway, followed by Spring Velocity in May. He will then run Flamboro Speedway at the beginning of June, before trips to Grand Bend Speedway and Jukasa Motor Speedway in July. He will then begin August at Sauble Speedway, followed by a return to Sunset Speedway. 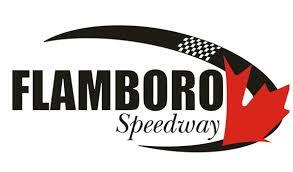 He will close out the season by running Sunset’s Fall Velocity, Frostoberfest at Flamboro Speedway, and the Autumn Colours Classic at Peterborough Speedway. Gibbons’ excitement entering the year only grows in looking at the caliber of talent within the division, as he notes car counts are getting better, with a lot of new names coming out. “As long as we can keep this class where it is and not progress too much further, I think it will continue to grow,” he added. Gibbons would like to thank Norm’s Fast Lube for their support of the 2019 program.